1. Tell us about your favourite social media tool and why you like it. If we can count blogging as social media, which I would, then that would be my favourite. It gives me the chance to express my opinions, tell my family stories, receive comments from others (who often become friends) and respond to their comments. I think the latter is very important if we’re to build links through our social media. 2. How do you use social media to further your genealogy career or business? I tweet my posts and discoveries I’ve made on other’s blogs. I think the most useful thing I can do is offer comments on other’s blogs, and really appreciate their comments on mine, hence why it’s important to respond. I like Google+ for its ability to differentiate between groups (family history, family, friends). I’m slowly coming to like FB better. I can relate to this. Thanks to Shauna Hicks’ presentations in Darwin a few years ago I dabble in twitter and facebook and over time I’ve become more acclimatised to FB than I did when it was just a day-to-day thing. When I came back from Papua New Guinea it all seemed quite trivial and I wondered why I was bothering. 4. What aspect of Social Media makes you grit your teeth? I hate feeling like the tail is wagging the dog and that we “must” follow twitter or FB or Google+ slavishly. I think often of the advice from my former professional staff development person and also the Steven Covey’s “7 habits of highly successful people”. We need to decide what works, what doesn’t and use these tools to serve us rather than derail us from our objectives. Twitter/FB/Google+ do not have to be our masters! 5. How does social media assist with your CGD (continuing genealogical development)? Using Google Reader enables me to stay in touch with what’s happening in the genealogical world. This can be a great advantage compared to waiting for months for magazines to publish “what’s new”. 6. How do you fit social media time into your busy day? I respond to blog comments as my highest priority. I now have my “friends and mates” list in Google Reader and get to them as soon as I can within the constraints of real life. Other than that, I do social media when I have time or a lack of firm commitments. I’m increasingly trying to use social media as my servant not my master. Also to remember that live family are at least as important as dead rellies. 7. Do you have a story of how social media enabled you to connect with a long lost relation or fellow researcher? If we call blogging social media, which I do, then it has been invaluable to make connections with others. Perhaps more to help them as much as to help me with specific family research. It’s so enjoyable to know that others get benefit or pleasure from your photos or stories. 8. You have a minute to share a piece of advice about genealogy and social media. Go for it. Just like any other “appliance” don’t let it control you! Real life is your own life…make it count. If leaving stories for your descendants is important to you, blogging is a valuable way to do it. Remember others need your encouragement and support too….what goes around, comes around. I feel I’ve made real friends from my blogging and that we know and understand each other, and just like real friends they understand that life sometimes gets in the way, but we can pick up where we left off. I’m eternally grateful to them for helping me to feel part of a community, however far-flung. Thanks Jill for this thought-provoking geneameme and the opportunity to participate in a discussion which started on the recent Unlock the Past cruise. This entry was posted in Family History, Geneameme and tagged blogging, Geniaus, social media, Social Media Geneameme by cassmob. Bookmark the permalink. Thanks Kerryn…it’s the companionship every time. Like Kerryn and Kristin I find I agree with you about social media platforms and priorities. You say it all so well. Great post, Pauleen! Thanks Frances! I so appreciate the support I get from all of my commenters and blogging buddies. I agree with the other people who made comments. Your answers echo my sentiments. I think it is vital to decide “what works, what doesn’t and use these tools to serve us rather than derail us from our objectives.” I find blogging to be a wonderful tool. Facebook hasn’t worked well for me, and I’ve never tried twitter. Absolutely Sheryl…it’s all too easy to get caught up in the whole “technology at all times thing. It works for some but not so much for me and some people do a great job of sharing info with all of us via FB, Google+ and twitter. I just find it I get too caught up in that I never get to the real task of researching. Thank you, Pauleen, for taking up the Geneameme challenge. I appreciate your continuing suppportof my activities. Blogging seems to be the hands-down favourite with respondents so far – and you so beautifully describe why this is so. Today I’ll be posting a list of links to the (small number of) responses that I have had so far. Yo’re welcome Jill…it was a fun and easy post and I always enjoy your geneamemes. I would apply your description “it all seemed quite trivial and I wondered why I was bothering” far more to twitter than to Facebook, though it obviously can apply to both. I use FB to keep a bit in touch with former colleagues, younger relatives and people in my local area. I have joined a few genealogical FB groups but find them somewhat unsatisfying in terms of my own learning. The value of blogs and Google+ circles beats FB hands down when it comes to feeling involved in a community of people and being informed about genealogical issues. Thanks Maureen. At the time I think I was just disillusioned with life back in Australia especially techonology. Like you I learn more (and enjoy more) from blogs and I do like Google+ but lately have given it less attention as I’ve tried to improve with facebook. Thank you for expressing your views so eloquently, as I could relate to them so much. 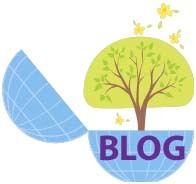 Blogging is my main social media vehicle and you have said it all as to its value. Twitter I cannot be bothered with – not that I have tried it, but more through what I read about in newspapers etc. How do people have the time to come up several times a day with something worthwhile in 140 characters when so much does seem triviality personified. I am on Facebook largely so I can access photos of my granddaughter but must admit, apart from when I set it up, I don’t use it to post anything. So for me, face to face talking and telephoning wins hands down, followed by e-mails and the contacts with the geneablogging community. Not quite a Luddite, but at the moment I see no reason to change!